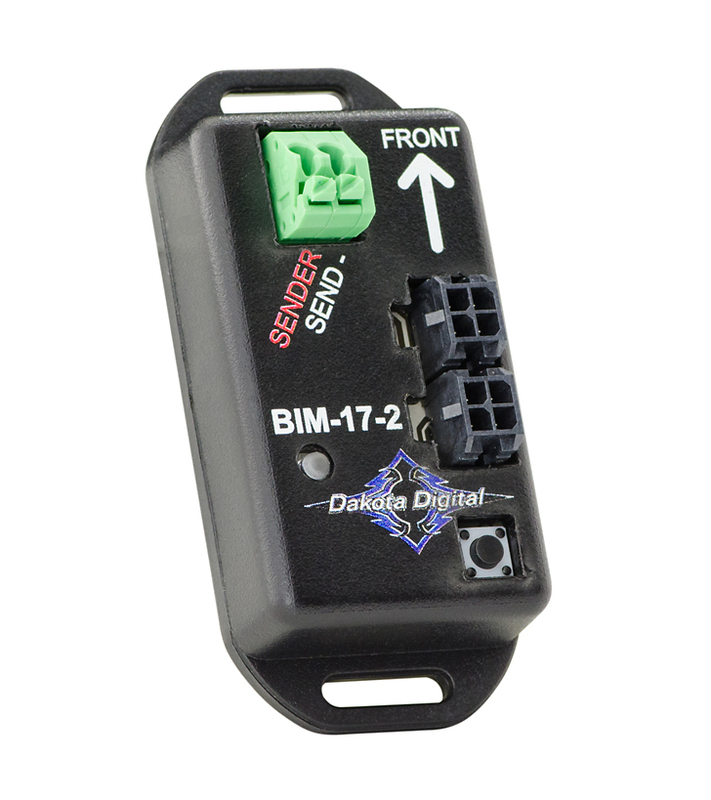 The Dakota Digital BIM-17-2 module makes it easy to install a 8 direction Compass and Outside Air Temperature without installing another gauge in your vehicle. Senders and mounting hardware included. *All senders included with BIM-17-2 module. **The BIM-17-2 is designed to supply this information to the RTX, HDX, VHX and VFD3 systems with a black plastic control module. For any BIM-compatible control boxes which contain the 3.5mm headphone jack BIM input, add part number 394193 adaptor harness. Earlier instrument systems with an aluminum control module are not capable of BIM connectivity.